DJ’s Painting has been painting commercial office interiors for over 30 years. Over that time frame we have seen just about everything you could imagine. I would like to share a few of the most common mistakes that office painters seem to make. 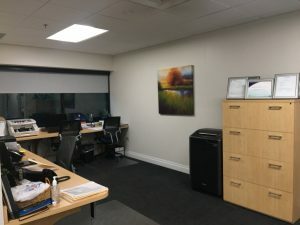 Knowing the issues that interior painters will face in a commercial office environment should prove helpful to office managers when managing an office painting project. So here it goes! This is a lesson often learned the hard way; after the employee gets back in they then realize that whatever they left open has been lost. This can be prevented by having the office employee close out and shut down everything. This can also be prevented by instructing the office painter to leave all computers and printers plugged in. While some office staff have very neat work spaces, many do not. Therefore, a great deal of angst can surround office painting for these kinds of office staff. They have a very specific “piling system” while it looks like a mess to everyone else, they know exactly where everything is. In this situation, the painter should just cover the desk with plastic and not disturb anything. This needs to be determined before the project starts. Some office painting projects call for a color change and will most likely need to have every wall surface painted. However, many times it’s just a refresh coat and large file cabinets that never get moved or book shelves can be painted around with no worries. In some cases, the desks and shelving units are very large and difficult to move so this seemingly small detail needs to be nailed down right up front to insure everyone is on the same page. While these 3 items seem like small details they are the most common mistakes and cause the greatest deal of angst for everyone involved in interior commercial office painting projects. 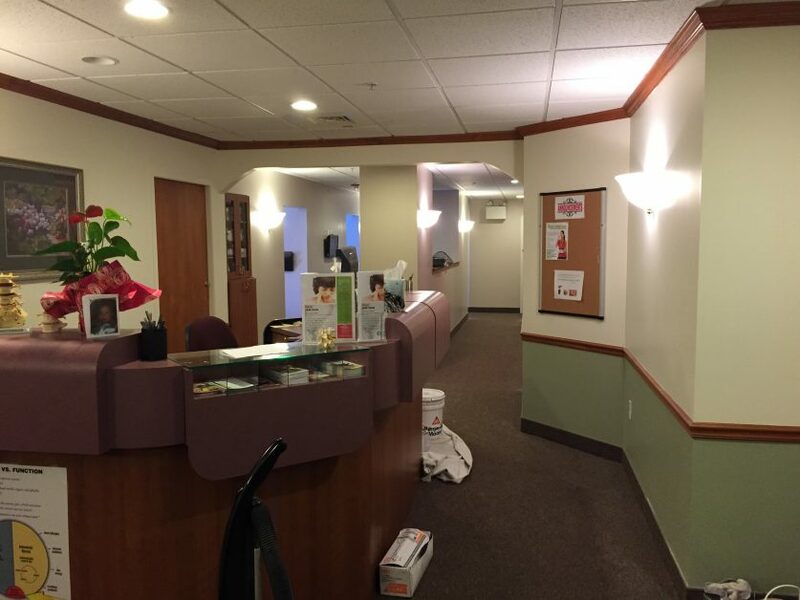 Contact the expert interior office painters at DJ’s Painting for your next interior commercial project! Take advantage of this opportunity by requesting your free quote today!